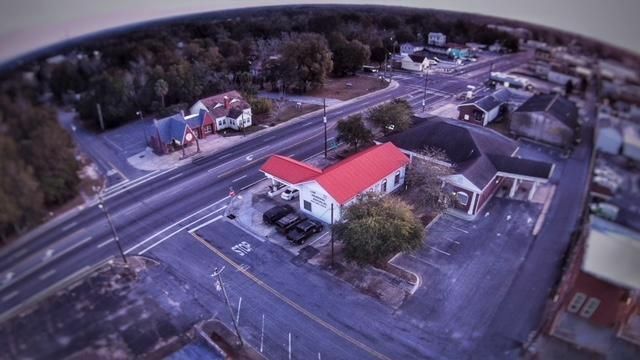 Great Retail/Office building located in Downtown area of DeFuniak Springs. Located next door to First National Bank and the Tesla charging station. Easy access from 10th Street and Hwy. 90E, plenty of room for parking! There are four rooms being used as offices and two bathrooms. Currently leased. Call for your appointment today! © 2019 Emerald Coast Association of REALTORS®, Inc. (ECARMLS). The information being provided is for consumers personal, non-commercial use and may not be used for any purpose other than to identify prospective properties consumers may be interested in purchasing. Information is believed to be accurate but is not guaranteed. Data last updated: Wednesday, April 24th, 2019 01:12:09 PM. Listing courtesy of Brannon Real Estate Services.